Dynamically offer different upsells based on the shopping cart’s content. 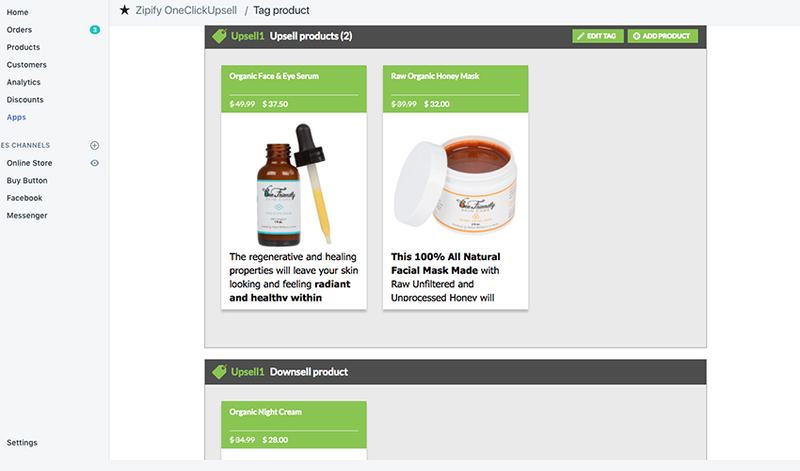 Tried & tested upsell pages proven to increase average order value by up to 30%. Integrates seamlessly with your Shopify store. 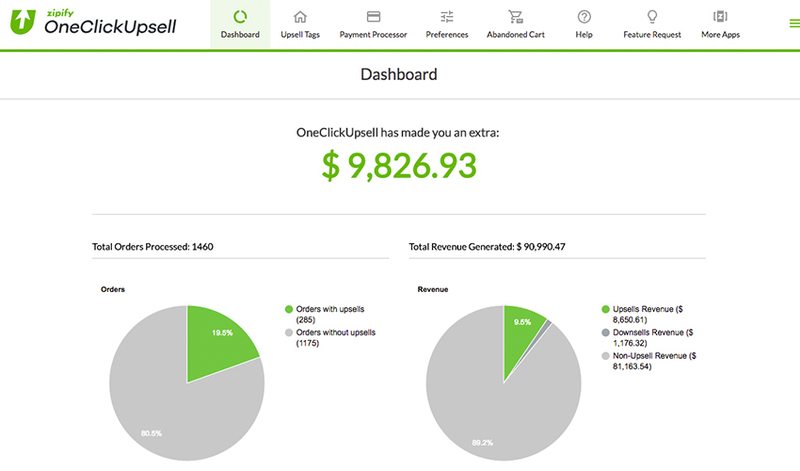 OneClickUpsell supplements your checkout process by allowing you to offer dynamic upsells to your customers. Choose products to upsell from your store and when a customer checks out offer the upsell items on the thank you page. They can add it to their order and voila! they’re charged for what they just purchased. Making happier customers and increasing your order value, all with one click.